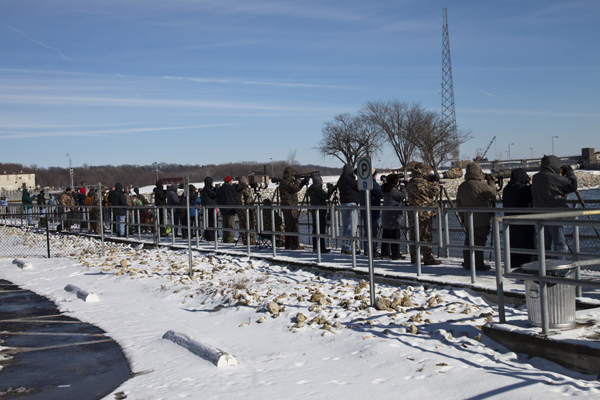 962 bald eagles was the count by the US Army Corp of Engineers at Lock and Dam 18 in Burlington, Iowa on the Mississippi River in early February 2013. 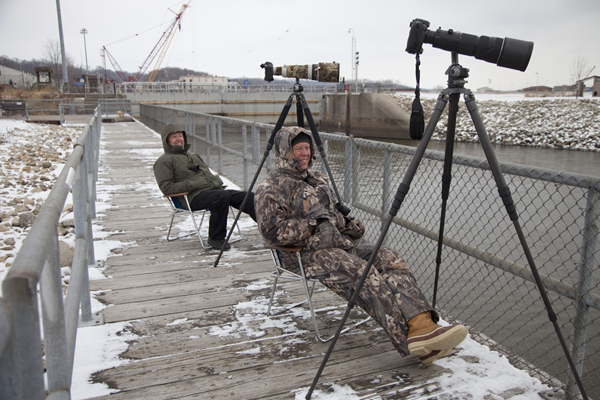 However, we chose to photograph at Lock and Dam 14 in Le Claire, Iowa, where the eagle count was only 12. Were we misinformed, naive or just crazy? Why not go where the count is the highest? 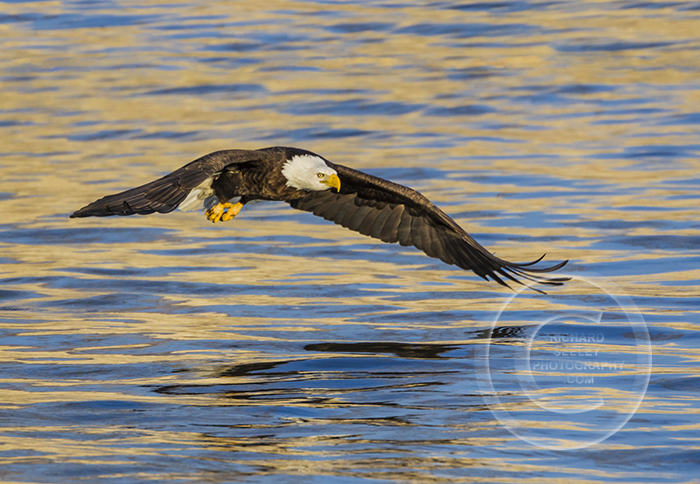 As wildlife photographers, we (Bob Karcz, Rod Chandler, and I) were in pursuit of the bald eagle fishing shot. 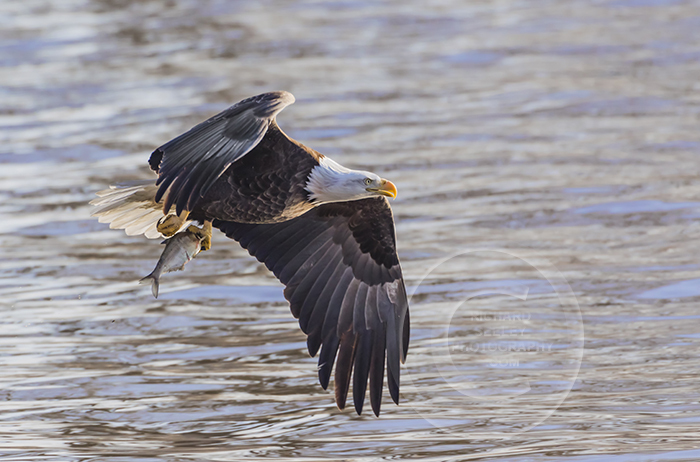 Lock and Dam 14 is well suited for photographing bald eagles as they glide down from nearby trees and swoop in to grab a fish on the surface of the Mississippi, only a couple of hundred feet from where we were standing on the shore. 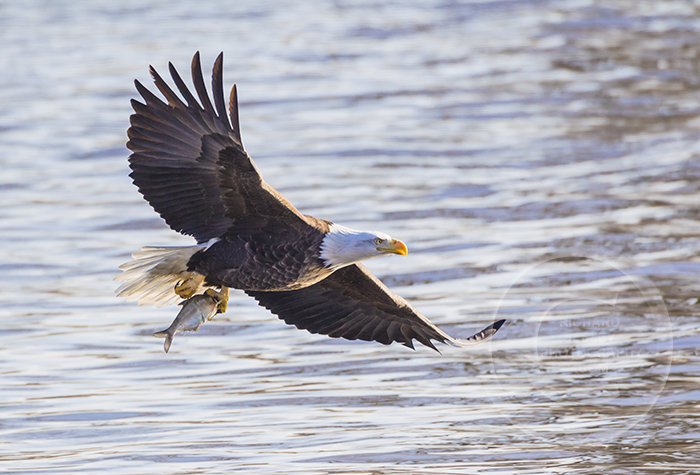 There may have been far fewer eagles at this location as compared to others, but at the peak of the fishing, an eagle would swoop in every 15 minutes or so to catch a fish at Lock and Dam 14. 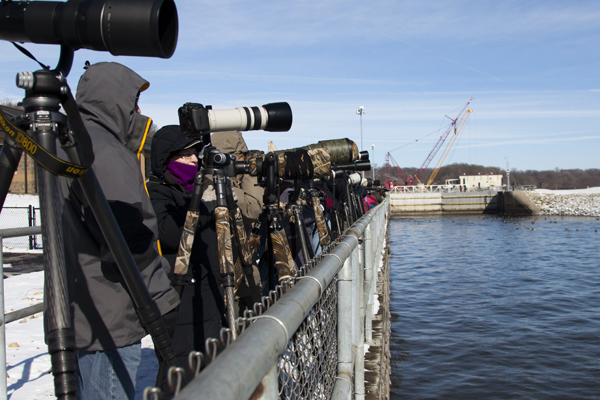 This is considered a high probability and high frequency event for wildlife photographers. 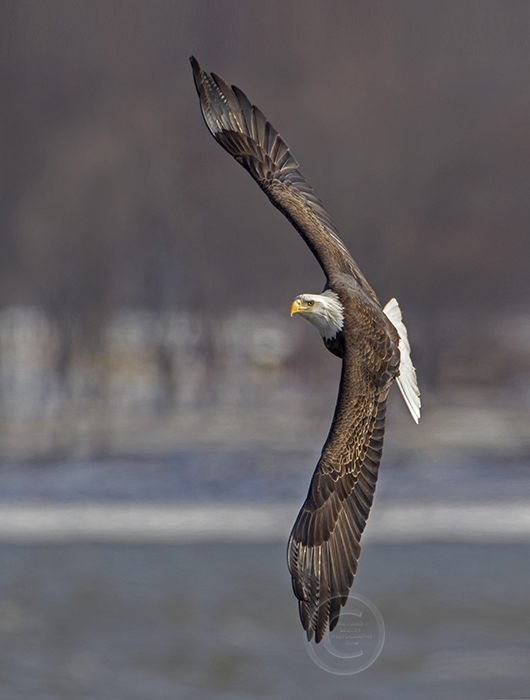 “Boomerang” – Not only does this beautiful bald eagle remind you of a boomerang, but also its flight path is from tree, to fish, then return to the tree for a fish dinner in a smooth, continuous boomerang-like loop. 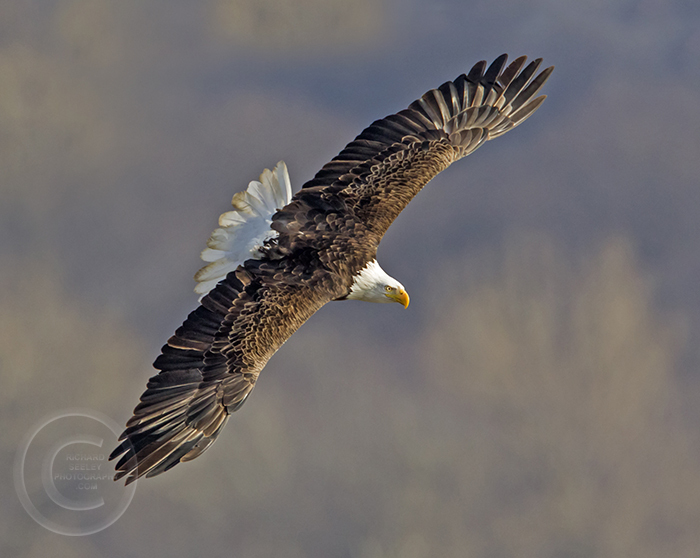 View more of my eagle images in the Eagles Gallery on my website. 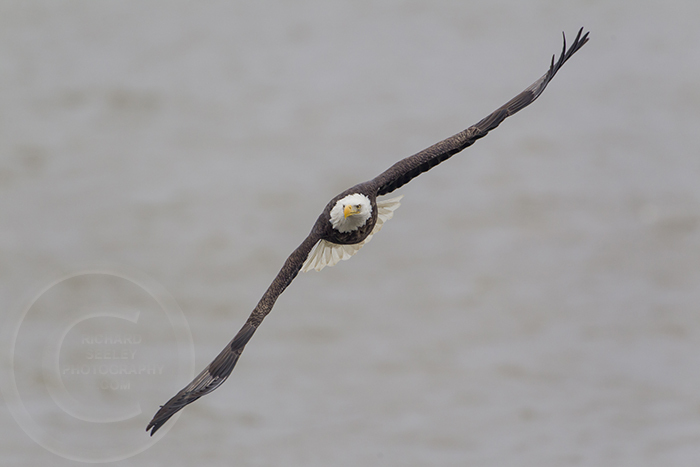 ~ by richardseeley on April 7, 2013. We got four eagles right across the creek from our house. 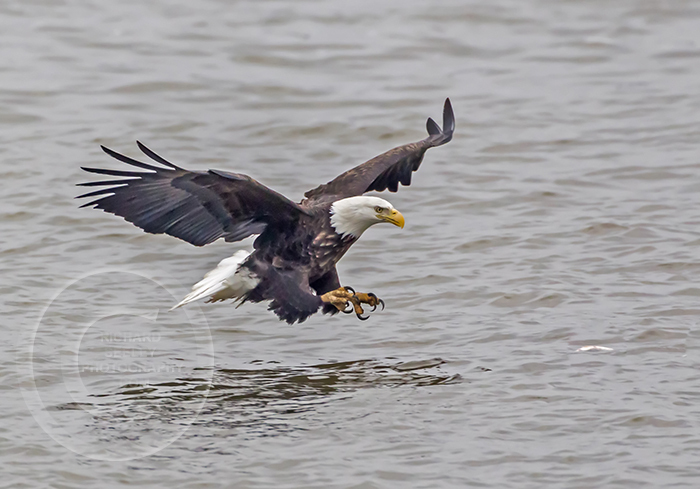 Nice eagle shots Rich! I hope you didn’t freeze your buns off. superbes photos de ces magnifiques oiseaux !